Jennie, a mother, tells the story of her daughter Lizzie and her development as a reader. Lizzie is two and a half and enjoys books but often finds listening to a whole story difficult unless it’s bed time and her focus is helped by cuddles and milk. She loves bedtime stories but often requests the same book night after night (her current record is the same book for three weeks and counting). We have tried reading more than one book at bed time; my choice and her choice, going to the library to choose books together and buying books in areas of her interest but she seems to like the predictability of a known story or information book. 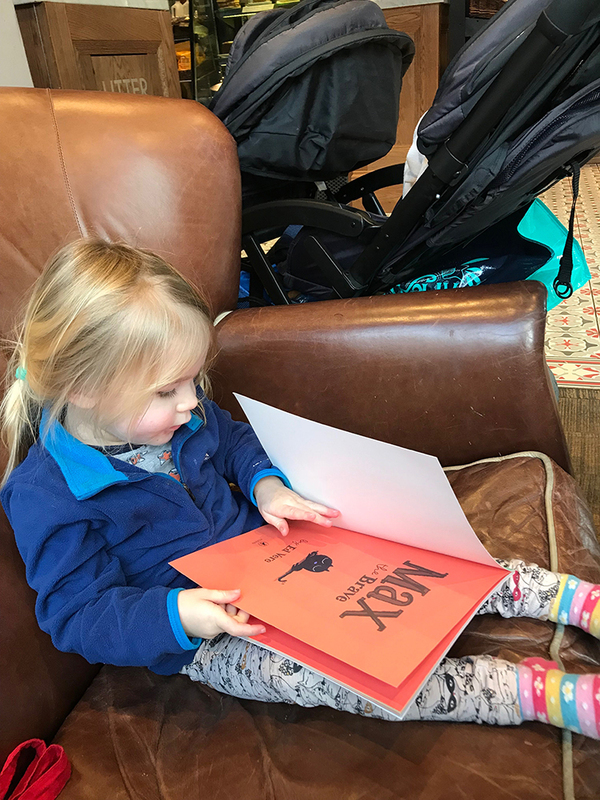 We encourage her to choose books when we play and she has books in her room, the living room and our room so we can always access them easily and always try and have books and cuddles in the morning before we get up properly. She often asks for books during the day as she knows this is quality focus me and her time, unlike playing time where suddenly I may get up and go and empty the dishwasher! She is also enjoying rediscovering some of her favourite early baby books with her nine month old brother and often shows him the feely parts or how to use the flaps. When we read during the day she often gets distracted, turns the pages too quickly or goes off and does something else. 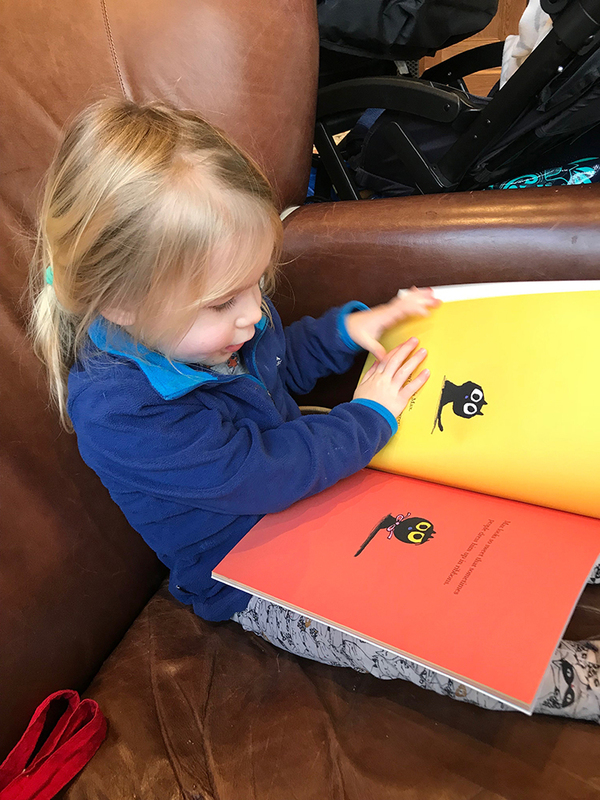 When she was younger we often just looked at the books together as she couldn’t sit still long enough to focus on the actual story, she also preferred non fiction for a very long time although this has evened out now. I knew Max the Brave would initially appeal as the illustrations and pages are eye catching and bright and the main character is a cat, which is a good start. The story also has similarities to The Gruffalo in the flow of the story, the range of animal characters and a good amount of sneakiness. I began by reading Max the Brave to her a couple of times and she listened to the first half only. I then decided to do the puppet making activity with her and see if her engagement increased. She loved putting the eyes and nose on the sock and played with the puppet and the other toy animals. We then watched the video from the Lovemybooks site and she played with the animal toys and the puppet as she watched. We then acted out the story and she demonstrated good knowledge of the story, finding the pages to match the animals and vice versa. She is really enjoying the book and I am enjoying doing more than just reading, questioning and discussing the book but actually interacting with it through play.